Most new gun owners can’t wait to get out to the range and start shooting. While practicing makes our list of top 6 things to do; there are some other equally important things to take care of first. 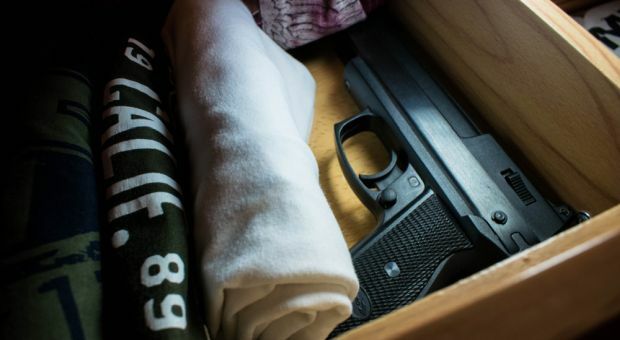 No matter whether you purchased a gun for sporting, hunting, or safety, doing these simple things will ensure your safety, and the long term usefulness of the gun. If your gun didn’t come with an owner’s manual, get one from the manufacturer. They will usually send one for free. Most manufacturers have manuals on their website that you can download and print for yourself, or you can write to them and get a copy for free. Failing that, consider using one of the many books available on basic gun assembly, dis-assembly, and maintenance. Once you have the manual, read it cover to cover to learn about the different parts of your gun and how it operates. Firearms are complex and potentially dangerous weapons in the hands of those unfamiliar with the way they function. They are also just as dangerous in the hands of someone that takes advice from others that seem to think they know more than the manufacturer when it comes to suitable ammunition, breaking in the gun, and maintenance requirements. Never take the word of someone else, even if they are a professional gunsmith over what you find in the owner’s manual. If in doubt, write to the manufacturer and ask for further clarification. Until you are absolutely certain that all your questions are answered, do not fire the gun. Once you’ve read up on how to clean the gun, you must take time to practice disassembling, cleaning, and lubricating it. 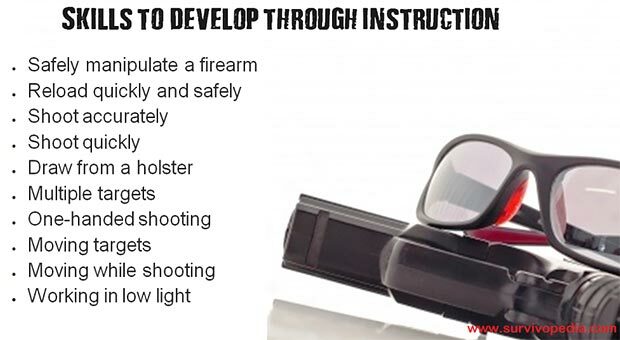 These steps are vital to ensuring the gun will fire effectively, safely, and reliably. Most new guns come coated with a protective grease to protect against rust and corrosion. Unfortunately, this coating is ineffective at lubricating the various internal moving parts of the firearm and barrel. The gun must be disassembled, lubed, and inspected for hidden damage. Even if you bought a brand new gun, factory errors do occur, and damage can also happen in shipping. If you purchased a used weapon, you have no way of knowing what substance the previous owner may have used to clean and maintain the gun, or if he did at all. If your firearm didn’t come with a cleaning/lubricating kit, you will need to purchase one. Choose a cleaner that removes factory grease, lead, copper, and powder fouling. After removing all of the factory grease, your firearm needs to be properly lubricated. It should be noted there are many formulas on the market. Modern synthetic lubricants work best and are many times better than old oils. Never use WD-40 or any other cleaning agent not specifically made for firearms. Doing so could cause damage to the bluing of the gun, or lead to serious injury to yourself and others around you once the gun is fired. Before you go dropping any lubricants into the cracks and crevices of your firearm, be familiar with how to field strip and reassemble your firearm first. You should apply lubricant to each of the moving parts of your firearm such as the slide rails, hinge pins, recoil parts, and trigger assembly. You may also use a thin coating of the modern synthetic lubricant on the outside of the barrel and other exposed metal parts as a rust preventative. Be careful to apply just enough lubricant to get the job done. Video first seen on National Shooting Sports Foundation. The barrel on most guns is marked with the type of cartridge recommended by the manufacturer. Most cartridges come in a variety of bullet weights, measured in grains, and styles. Since there are redundancies in ammo types, one cartridge may be suitable for both hunting and self-defense, while others only for specific purposes. Recently, specialty ammo has become more popular than broad range options. Do the research and consult with the manufacturer’s manual as to which bullet weight and style is best for your firearm and your intended purpose. Varying from the manufacturer’s specifications in this area can substantially shorten the working life of the gun, lead to malfunction, may even cause the gun to backfire or injure you, and may also void your warranty. Before loading a full magazine and firing, you need to break in the barrel and test fire the gun. Typically, both steps can be accomplished together. To begin, test fire the gun by inserting a single round and shoot the gun. Next, clean the barrel with the synthetic lubricant on a patch followed by one or two dry patches. While not everyone agrees with the practice of single-shot test firing, it gives you a chance to experience the weapon’s recoil and other firing characteristics without another bullet being ready to fly from the barrel. This is especially important if you have never fired a gun before and might become startled by the sound, shell ejection, or many other things that may cause you to drop the gun or otherwise lose control of it. Even seasoned gun shooters should follow this practice, since you never really know when a gun will stovepipe or do something else that causes you to lose control of the weapon before you learn what you need about how the gun will handle from a first test fire shot. Variants of this process involve changing the number of rounds fired before each cleaning. For example, you fire one shot, clean the barrel, then fire two shots and clean the barrel again, then fire three shots and so on. Bear in mind that this initial effort, however inconvenient, will reward you with a lifetime of safe and reliable shooting. 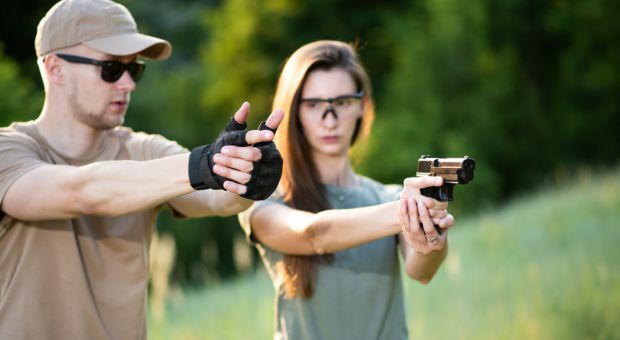 It’s recommended that inexperienced shooters enroll in some kind of training to educate them on proper gun handling and shooting techniques. Unfortunately, most basic training classes only teach you how to point your gun down range, aim at a fixed target, and pull the trigger. This type of training won’t teach you how to stalk prey and hit a moving target for hunting purposes, or how to use your weapon in a home-defense combat situation. For that reason, you should consider taking an advanced training class that teaches you how to use your gun for real survival purposes. Always practice what you learned as often as possible at a firing range so that your skills grow and develop. 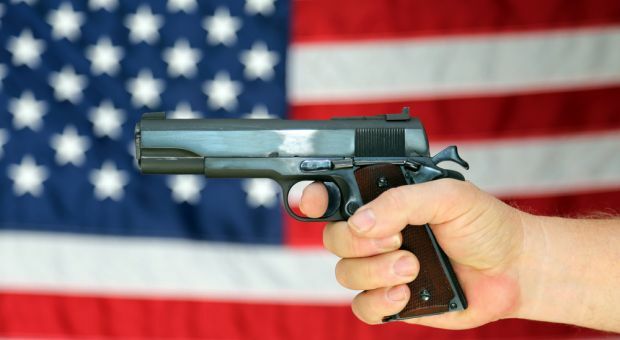 Gun laws vary from state to state, and in some cases, from county to county. Although hotly contested, some require weapons and certain magazine types to be registered. 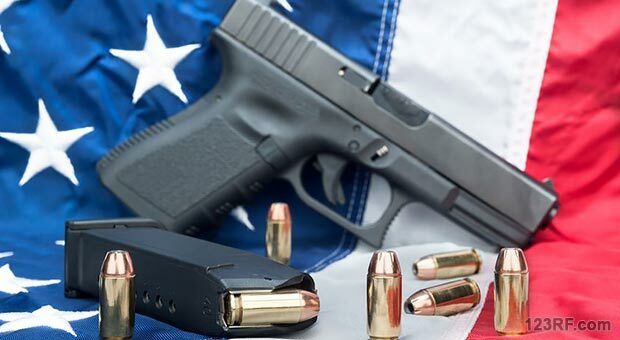 Most states also require concealed carry permits, while others allow you to carry your gun in plain sight as long as you have the proper permits and registration for the weapon itself. Check with your state and local governments to see what laws apply to you and the specific gun type you purchased. Ultimately, everyone has their own idea of what steps to take after purchasing a firearm. Whether your gun is intended for hunting, home-defense, or everyday target shooting, safety should always be paramount. The more familiar you are with your firearm, its parts, and its ammo, the more effective you will be when it comes to actually shooting, whether your target is a piece of paper down range, a deer in the woods, or an intruder on your doorstep. You cannot overdo maintenance cleaning & lubing gun,,,most underdo KNOWING gun laws. Make sure before use. Yes…. you can over lube a gun. Try again. I’m surprised that “loaded and handy” were not included. WD-40 is fish oil and I don’t believe it will harm a gun. For hide away storage magazine fed weapons should only have a minimum of rounds in the magazine to avoid depleting the magazine spring tension. WD-40 is a petroleum based penetrant that displaces water and lubricants from the metal surface. It also dissolve some rust and corrosion. It is not an oil of any sort. it is safe to use on most any firearm finish but it shouldn’t be left on it. Always finish your cleaning with a thin coat of gun oil. Wd-40 may be ok ,It doesn’t lubricate.I think the author was pointing toward lubticating slides and moving parts etc. when he mentioned that.The same is true with door hinges on cars ,house doors etc. It’s not a lubricant it will only work for a very short time. There are no “lawful” gun laws ….. period! Every single State joined the union understanding full-well that the Constitution was the Binding Document for said union of States. The Second Amendment has been part of the Constitution since the union of Sovereign States Several began. Every single State agreed to be BOUND BY THE CONSTITUTION – including the Second Amendment. No where in the Second Amendment, or any other part of the Constitution, or the other Organic Laws of this nation, does it say, “EXCEPT” – therefore, ANY AND ALL “gun laws” are unlawful and are NOT LAW, since they directly violate the Constitution. 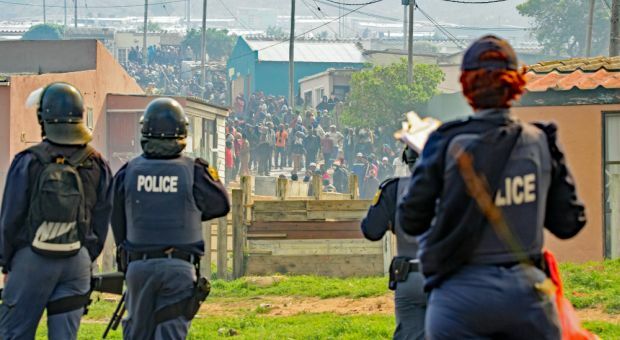 Very interesting article, with an important topics. thanks! Great tips, you don’t know how many people out there who buy guns and don’t know what the correct ammunition to put in it or how to even shoot it properly. If someone gives you a gun the first thing you need to do is get a basic firearms and safety course. I did not know that guns came with owners manuals to be able to use them. I agree, however, that it would be important to read a manual about gun safety. It would be tragic to buy a gun and then not know how to properly use it and something going wrong. Because they can kill it would be important to know how to use it. Unfortunately, not all manuals provide detailed lubrication and cleaning details, pictures. It seems you’re supposed to know all this or go on go on the internet to learn from there. I just purchased a semi auto shotgun based on the AR platform. The only details, pictures, show is disassembly and reassembly. Not where, what, to lube and where, what to clean. That’s poor in my opinion.